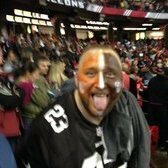 I honestly think Dorsey would want to trade back into the back end of the 1st for contract reasons as well as of the talent. Ruiter was saying on the Bull and Fox show that the 32nd pick's 5th year option is slotted at around $1.5, give or take. So going after that pick locks up a potential starter for 5yrs at a very very cheap rate. something that will be welcomed because of the Baker, Garrett, and ward extensions that will be given out prior to that rookie deal being up. The thought process sounds right, but there is no way that any position's 5th year option is $1.5 mil. That number is way off. Here is a list of 5th year options in 2019 (obviously expect the total numbers to go up at least around 25% or so by the time 2023 comes around). Note that none are under $7mil except RB & S (and that S number will be at least 9 mil by the time 2023 comes around, especially with this year's signings). I have no problem with trading up some to get a guy that they consider to be a "can't miss". Unless it involves future R1 or R2 picks. I have a nagging concern that Dorsey has a bite of the "win now" bug and might be tempted to mortgage the future for it. While the whole sliding of the proverbial poker chips all-in is a scary concept, Dorsey didn't trade down last year like everyone wanted and we ended up with two franchise cornerstones (three if you count Chubb) in one draft. Sashi traded down endlessly and took lesser talents (it can work, but higher picks generally get higher players). At the same time, if that pick at 32 turns into a starting level player and are good--there is no way they play all 5 years on that rookie deal to make it to that 1.5m 5th year. Let's take this trade simulation and concretize it a bit by looking at the 4 widely popularized nfl draft trade charts available to the public (Jimmy Johnson's http://www.drafttek.com/NFL-Trade-Value-Chart.asp?RequestTeam=CLE, Harvard-Meers https://harvardsportsanalysis.wordpress.com/2011/11/30/how-to-value-nfl-draft-picks/, Chase Stuart http://www.footballperspective.com/draft-value-chart/ and Rich HIll http://www.drafttek.com/NFL-Trade-Value-Chart-Rich-Hill.asp) and see what's realistically a possibility in terms of trading up. There are others Burke's and Thalers that take into account CBA considerations, but I was unable to find them. NFL teams are thought to have departments that have taken all charts into account and tinkered with them before arriving at a consensus chart. Additionally, future picks are valued differently than present picks. *** Key Issue with the Harvard Chart that was well discussed in https://bleacherreport.com/articles/1147777-why-any-nfl-gm-who-uses-the-harvard-nfl-draft-pick-value-chart-should-be-fired is that to trade from the 16th to the 10th would only cost an early 7th round pick *** ... that obviously makes no football sense in the minds of football people. Let's assume we're looking to trade up into the 26-32 range in the 1st round from pick 49. Trade's from last year's draft --- Buffalo Trades 53 and 56 to go from 12 to 7. -- In this scenario, it would cost us our 3rd )190 points) and our 2nd (410 points) to get back into round 1 with the 31st or 32nd pick; in order to get all the way to 26 or so we'd have to also give up value equal to 100 or all of our 5th round picks. -- In this scenario, it would cost us our 2nd and 4th round pick to get back into round 1 at pick 26. -- In this scenario, it would cost us our 2nd, 3rd and 4th round pick to get back into round 1 with the 30th, 31st or 32nd pick; in order to get all the way to 26 we'd have to also give up value equal to 23 or an additional 4th round pick. -- In this scenario, it would cost us our 2nd and 5th round pick to get back into the 1st. This is nonsensical and to be fair the HSAC must've been updated or adapted now that Meers works for an NFL team. It's likely going to cost us a 3rd, 4th and a future 3rd which is equal to a present 4th to get up to 26-32. If anyone has any other trade charts please post them. I'd rather two solid 2nd rounders than 1 good 1st rounder. One of our advantages is that our needs fall outside of the top 5 positions or is a seco d player the position. 2 pass rushers and 2 dts. We could do with a upgrades but nothing is pressing. That is why I'd rather draft more guys than one single player. If we got a solid, dt, ss, and cb from the draft we would be doing really well. Yeah we don't have a lot of open spots. We could draft a QB later but probably not. Maybe a power back type to back up Chubb in case of injury. I'd say no WR. 1 offensive lineman. Defensively it will probably be 1 DT, 1/2 CB, 1/2 LB and S.
I'm guessing 9 spots tops and we have 8 picks. I'll say 5 make the team. Odds of getting potential upgrades late in the draft are unlikely but I'm sure we'll grab some guys there and UDFA and see if anything sticks. We don't need to build this year and that is great. We're just painting the interior closets and hanging curtains this year. It took several contractors and decades of delays but it looks like we are ready to move in. Dont think you can draft half a CB or lb. Unless that's what howard Wilson was. In rounda 4&5 we should be drafting role players. Assuming Duke goes a st and receiving back. Another st'er and a run stuffing nt. Some higher round guys, especially at defensive tackle, tight end, backup quarterback, wide receiver and running back are going to be available later on and could be value picks in these rounds. Maybe shift my point back to rounds 5&6. Of course we’ll trade back into R1...but only if one of our top 10-15 players is there. A Simmons of even an Adderley would be realistic options. I think I’d rather sit on or hands and take Rapp or a sliding DL, but I’d be good moving up for Simmons, Adderley, Hockenson, Metcalf, or any other falling stud muffin. Maybe Christian Wilkins or Dexter Lawrence slides. Those guys would be nice too. Can you envision the erectness of Baker if we added Metcalf as an outside WR? Pushes Landry into the slot and gives us one of the nastiest offensive lineups in history...at least on paper. We don't have the ammo to trade up to pick #5, as Gettleman is taking Metcalf at 6. I'm not a fan of moving back up into the first round unless it's for a really special player. I'm not sure that exists at the tail end of round 1. Or at least, I'm not sure there's a significant discrepancy between 49 and 28. At least not to the point of giving up a future 1 or multiple high picks. I'm interested in the idea of Jeffrey Simmons but only if it's with pick 49 or a very slight trade up. I'm not the least bit interested in moving significant assets for a guy who isn't going to help us year 1. Imagine how silly it would be if we gave up a 2020 1st for a guy that won't play until 2020 anyhow. Essentially, you give up a 2nd in addition to using your next year's 1 (of unknown value, but likely in the 20s) for Simmons. On top of using your next year's 1 on Simmons, you aren't getting anything out of this year's 2nd round pick, this season. There's too much we can do with that pick. If that were to get done, you better be sure 1. someone ahead of you really wants him and 2. he is a top 5 or 10 player in this draft and still feel the same post-recovery. I see too many question marks with him to evaluate him with that much weight. I'm not sure it's realistic to think that we would move up from 49 to anywhere in round 1 without giving up a future 1. Best case scenario, certainly at least a 2, at the very tail end of round 1. I don't see the positional desperation that forces us to make such moves. Definitely not at DT now. If anything, you can argue we are most desperate at LB and DB. And, this is a class that at LB, if you don't get one of the Devins, you are resigned to a non-impact linebacker with 3rd round value or lower. This is also a DB group that is stocked with guys who are truly 3rd-5th round values for the most part, particularly where our need is at safety. I'm all-in on sitting pat at 49 or using mild assets for a slight trade up. Then, you start 2020 tabula rasa, stocked with your picks. If it were me and I was going to trade up anywhere, I'd use some of those lower picks, which we have in bundles, and targeting extra upside guys around that round 3 mark, that are more certainties to be on the 45.
condidering that we may get two pro bowlers with this draft you maybe absolutely right. This draft is loaded with Tight ends that may make it to are 3rd round choice that will make at least 1 pro bowl.